Exeter. Featherstone and Spark. 1827. Printer. Davy, William. Divinity : or discourses on the Being of God ...being improved extracts from a system of Divinity / by The Rev.W.Davy. - Exeter : Featherstone and Spark , 1827. - 3 vols ; 23cm. - Held by: Devon Heritage Centre: 231/GEN/DAV ; British Library ; Oxford. - Subjects: Devon. Lustleigh. Clergy. Davy, William. Works. God. Exeter. Featherstone, William Charleton and Co. 1826. Printer. VEYSEY, Jasper. A practical and easy method of immediately banishing poverty from the world, and within a short period ignorance and misery, vice and crime. - Exeter, Printed by W.C. Featherstone and Co., 1826. - 15 p. ; 20 cm. - Worldcat. Exeter. Featherstone, William Charleton. 1825. Printer. Davy, William. Divinity or discourses on the Being of God ...being improved extracts from a system of Divinity / by The Rev.W.Davy. - Exeter : W.C. Featherstone , 1825. - vi, xiii, 614; 554, lxix, xxiv (2 volumes) ; 22cm. - Held by: Devon Heritage Centre: s230/GEN/DAV [Bookseller's ticket in one copy: E. Jeanes, opposite Guildhall, Exeter] ; British Library ; Oxford ; University of Exeter. - Subjects: Devon. Lustleigh. Clergy. Davy, William. Works. God. Exeter. Featherstone, William Charleton. 1825. Printer. Exeter proposed railroad. - Printed Exeter : Featherstone, printer, for J. Godfrey, . - 1 sheet (p) ; 35 cm ; 1/2o. - Dated at end: 1825. A handbill. - Held by: University of London - ULRLS. Exeter. Featherstone, William Charleton. 1825. Printer. Short ... Short speeches selected for the use of the young gentlemen educated at the Dawlish Grammar School / edited by David Daniel. - Exeter : Featherstone , 1825. - Held by: Devon Heritage Centre: s808.04275/DAW/SHO. - Subjects: Devon. Dawlish. Grammar schools. Dawlish Grammar School. Speeches. 1825. Exeter. Featherstone, William Charleton. 1825. Printer. Elector. To the electors of the city of Exeter. - Exeter : Featherstone, printer , . - 1 sheet. - Dated at end: Exeter, 17 June, 1825. In support of Tyssen. - Held by: Devon Heritage Centre: LE 1825/06/17 ; Exeter Garland 15: photocopies in Barnstaple, Exmouth, Plymouth, Torquay. - Subjects: Devon. Exeter. Elections. Campaign literature. 1825. Exeter. Featherstone, William Charleton. 1826. Printer. VEYSEY, Jasper. The advantages of a system of mutual co-operation proved, to a demonstration, to be infinitely superior to the present system of divided interests, and individual competition. - Exeter, Featherstone, printers, 1826. - Signed: Jasper Veysey. - 4 p. 28 cm. - Worldcat. Exeter. Featherstone, William Charleton. 1828. Printer. BRITONS, remember this, the yell of intolerance, ignorance, or self-interest ... - Exeter : Printed by W.C. Featherstone, Weekly Times Office , 1828. - 4 p. ; 24 cm. - Cover title. - Worldcat. Exeter. Featherstone, William Charleton. 1828. Printer. BRUNSWICK meetings. - Exeter : Featherstone, Printer , 1828. - 1 sheet ; 32 cm. – Poster. Worldcat. Exeter. Featherstone, William Charleton. 1828. Printer. EXTRACTS from some of the speeches delivered at a meeting ... November 15, 1828 ... of the British Catholic Association. - Exeter: W.C. Featherstone, 1828. - Worldcat. Exeter. Featherstone, William Charleton. 1828. Imlay, Gilbert. The new political economy of the honey bee / by the author of The Emigrants. - Exeter : Printed and published for the author, by W.C.Featherstone, 1828. - Held by: University of London - ULRLS ; Worldcat. Exeter. Featherstone, William Charleton. 1828. Printer. ROBYNS, Thomas. A short help to a godly life. - Exeter : Printed by W.C. Featherstone, 1828. - 47 p. ; 16 cm. - Attributed to the Rev. Thomas Robyns. - Worldcat. Exeter. Featherstone, William Charleton. 1828. Printer. TO the clergymen who have got up the requisition to the sheriff for calling the County meeting. - Exeter : Featherstone, Printer, Western Times Office , [1828?]. - 1 sheet ; 23 cm. – By: An Economist. - Worldcat. Exeter. Featherstone, William Charleton. 1828. Printer. TO the Inhabitants of the City of Exeter ... - Exeter : Featherstone, Printer, Weekly Times Office , 1828. - 1 sheet ; 38 cm. – By: One of the Free-Grammar School. - Worldcat. Exeter. Featherstone, William Charleton. 1829. Printer. DENHAM, George. A complete new work, in the form of a dialogue between enquirer and truth, on display of the divine perfections of Jehovah, father, word, and spirit, which perfections of Jehovah could never have been known had not Adam fell from his original rectitude, wherein he was first created / by George Denham, Exeter. - Exeter : printed by W.C. Featherstone, 1829. - 45p ; 19cm (8vo). - Held by: Cambridge ; COPAC ; Worldcat. Exeter. Featherstone, William Charleton. 1829. Printer. OBSERVATIONS on the moral and political effects of the tithe system in England : with a plan for a commutation of tithes and for the more effectually providing for the clergy of our church establishment / by a clergyman of the diocese of Exeter. - Exeter : Featherstone, 1829. - 52 p. - "Printed 1801. Re-printed and published 1829." Includes a preface by James Rodd. - Held by: University of London - ULRLS ; Manchester. Exeter. Featherstone, William Charleton. 1829. Printer. OLIVER, George, 1781-1866. Address delivered in the Catholic Chapel, Exeter, on Sunday November 16, 1828 / by Rev. George Oliver. - Exeter : Printed by W.C. Featherstone, Weekly Times Office, 1829. - 8 p. ; 21 cm. - In reply to accusations against the Roman Catholics. - Held by: Devon Heritage Centre: pB/EXE/230.2/OLI ; Durham ; Southampton ; British Library ; Oxford ; National Trust. - Subjects: Devon. Exeter. Roman Catholic Church. Doctrine. Addresses. Exeter. Featherstone, William Charleton. 1829. Printer. The resolution proposed by Earl Morley, and seconded by W. Courtenay ... - Exeter : Featherstone, Printer, Western Times Office , 1829. - 1 sheet ; 28 cm. - Worldcat. Exeter. Featherstone, William Charleton. 1830. Printer. Acland, Thomas Dyke, Sir. To the gentlemen, clergy, and yeomanry, freeholders of the County of Devon : Killerton, July 30, 1830. - Exeter : Featherstone, Printer, Western Times Office , 1830. - 1 sheet ; 39 cm. - Worldcat. Exeter. Featherstone, William Charleton. 1830. Printer. Report of the proceedings at the Devon county meeting: held at the castle of Exeter, on the 15th of January, 1830, to consider the propriety of petitioning the legislature to take into its early deliberation the present state of the tithe laws. - Exeter : Printed at the Western times office, by W. C. Featherstone, 1830. - 31 p ; 23 cm. - COPAC. Exeter. Featherstone and Co. 1830. Printers. The Address of the working classes of Devonshire : to their fellow labourers throughout Great Britain and Ireland. - Exeter : Featherstone & Co. printers, [1830?]. - 1 sheet (p) ; 44 cm ; 1o. - Printed in three columns, separated by single line rules, within ornamental border. - Senate House Libraries, University of London. Exeter. Featherstone, William Charleton. 1832. Printer. Goodridge, Charles Medyett. Narrative of a Voyage to the South Seas, and the Shipwreck of the Princess of Wales Cutter : with an account of a two years' residence on an uninhabited island / By C. M. Goodridge ... one of the survivors. To which is added a further narrative of near eight years' residence in Van Diemen's Land ... comprising a statistical view of Van Diemen's Land ... - London ; Exeter : Hamilton, Kent & Co 1832. - Held by: Natural History Museum Library ; British Library. Exeter. Featherstone, William Charleton. 1832. Printer. Russell, John Russell, Earl, 1792-1878. Lord John Russell's election : At a meeting of the committee for conducting Lord John Russell's election, on Friday the 5th of October, it was resolved unanimously. That Lord John Russell's address to the electors of the Southern Division of the County of Devon, and the report of his speeches at Torquay and Honiton, be published in a hand bill, and circulated throughout the Southern Division of the County ... - [Exeter] : Featherstone, printer : Western Times Office, 162 Fore-Street, Exeter, . - 1 sheet ( p.) ; 52 x 38 cm. - Signed and dated at end of first section: J. Russell. Endsleigh, Sep. 25, 1832. - Held by: British Library. Exeter. Featherstone, William Charleton. 1832-1833. Printer. The western spy. - Exeter : printed and published by W. C. Featherstone, 1832-1833. - 124p. : ill. ; 27cm. 4°. - No. 1-2 printed and published by W. C. Featherstone, Exeter, no. 3-18 by W. C. Pollard, Exeter. - Price one penny. A periodical. - Held by: British Library. Exeter. Featherstone, William Charleton. 1833. Printer. Clifford, C. Dramatic sketch descriptive of the reception of Lord Clifford on his return to Ugbrooke Park ... Catholic Relief Bill. - : W.C.Featherstone , 1833. - Held by: Devon Heritage Centre : s821/CLI. - Subjects: Devon. Poetry. Clifford, C.Lord. Texts. Exeter. Featherstone, William Charleton. 1835. Printer. COMPTON, William, M.A., Curate of St. Olave, Exeter. A Farewell Sermon preached in the Parish Church of St. Olave, Exeter, December 7, 1835. - Exeter : W. C. Featherstone, 1835. - 21 p. ; 8º. - Held by: British Library. Exeter. Featherstone, William Charleton. 1834. Printer. Stirling, D. McNee. The beauties of Shute : containing copious illustrations of the antiquities, topography and scenery of that interesting parish: and a succinct biographical account of the illustrious family of Pole. / By D. McNee Stirling. - Exeter : printed for the author, and sold by W. C. Featherstone: sold also by all booksellers, 1834. - 24p. ; 18cm. 12°. - British Library. Exeter. Featherstone, W. 1835. Printer. Bird, Charles, 1775?-1858. Copy of the petition of Charles Bird, Esq. barrister-at-law as presented to the Honourable the House of Commons, by D.W. Harvey, Esq. M.P. on the 25th June, 1835, relative to the trial of the Dorchester labourers, and the danger to be apprehended from a dependent bar : with the notices of the same by the London journals. - Exeter : W.C. Featherstone, 1835. - 12p ; 21 cm. (8vo). - Held by: British Library. Exeter. Featherstone, William Charleton. 1835. Printer. Evening liturgy consisting of four services for use of the congregation in the Bowden Hill Chapel, Crediton. - Exeter : W.C.Featherstone , 1835. - 52p ; 16cm. - Held by: Devon Heritage Centre: s264.034/CRE/EVE. - Subjects: Devon. Crediton. Christian church. Bowden Hill Chapel. Liturgy. Evening. 1835. Exeter. Featherstone, William Charleton. 1835. Printer. Wilmot-Horton, Robert John. Wilmot's Plan for a new system of laws : to prevent poor laws and pauperism, poverty and distress : extracted from his work in two volumes, entitled "National debt," &c., published at one guinea and forwarded to the King, royal family, nobility and the government, December 1834. - Exeter : Printed by W.C. Featherstone, 1835. - 24 p. ; 19 cm. (8vo). - Worldcat. Exeter. Featherstone, William Charleton. 1835. Printer. Wilmot-Horton, Robert John. Wilmot's plan for paying off the national debt without taxes : extracted from his work in two volumes, entitled "National debt," &c., published at one guinea, and forwarded to the King, royal family, nobility and the government, June 1835. - Exeter : Printed by W.C. Featherstone. Exeter. Featherstone, William Charleton. 1835. Printer. Vol. 2 of Wilmot-Horton's Disinherited, or Principle and expediency, has title: The national debt demonstrated as capable of being paid without taxes. - 24 p. ; 19 cm. (8vo). - Worldcat. Exeter. Featherstone, William Charleton. 1836-1837. Printer. Featherstone's Exeter times. - Exeter : Featherstone , 1836-37. - WSL. Exeter. Featherstone, William Charleton. 1837. Printer. Goodridge, Charles Medyett. Narrative of a voyage to the South Seas and the shipwreck of the Princess of Wales Cutter .... / by one of the survivors, C.M. Goodridge. - Exeter : W. C. Featherstone , 1837. - ,[iv],101p. - Held by: Torquay ; University of Cambridge Libraries. - Subjects: Devon. Paignton. Sailors. Goodridge, Charles Medyett. Shipwrecks. 1837. Exeter. Featherstone, William Charleton. 1838. Printer. Goodridge, Charles Medyett, b. 1796. Narrative of a voyage to the south seas, and the shipwreck of the Princess of Wales cutter : with an account of a two years' residence on an uninhabited island / by one of the survivors, Charles Medyett Goodridge. - 2nd ed. - Exeter : Printed and published by W.C. Featherstone and sold by the author, 1838. - , 14-180p,  leaf of plates : ill. ; 18 cm. - Lists of subscribers: p.-, -, and -. - Held by: British Library ; Torquay. - Subjects: Devon. Paignton. Sailors. Goodridge, Charles Medyett. Shipwrecks. 1838. Exeter. Featherstone, William Charleton. 1838. Printer. | Oliver, George. Collections towards illustrating the biography of the Scotch, English, and Irish members, S.J / [Oliver, George].-- Exeter Printed by W.C. Featherstone 1838. - xiv, 259,  p ; 22 cm. - Held by: National Library of Scotland ; National Library of Wales ; Senate House Libraries, University of London ; University of Glasgow Libraries ; University of Oxford Libraries. Exeter. Featherstone, William Charleton. 1839. Printer. Elyot's House - [Exeter] : [W.C. Featherstone] , . - Lithograph ; 175x97mm. - SC1037. Exeter. Featherstone, William Charleton. 1839. Printer. Goodridge, Charles Medyett. Narrative of a voyage to the South Seas, and the shipwreck of the Prince of Wales, with an account of two years' residence on an uninhabited island / by Charles Medyett Goodridge - 3rd edition. - Exeter : W.C.Featherstone , 1839. - 175,p,plates : ill ; 19cm. - Held by: Devon Heritage Centre: s910.4/PAI/GOO ; Barnstaple: 910.4/BX:PAI/GOO ; North Devon Athenaeum D910/GOO/L/A ; Tiverton: TiW GOO 96 ; British Library. - Subjects: Devon. Paignton. Sailors. Goodridge, Charles Medyett. Shipwrecks. 1820-1822. Exeter. Featherstone, William Charleton. 1839. Printer. Goodridge, Charles Medyett. Narrative of a voyage to the South seas, and the shipwreck of the Princess of Wales cutter, with an account of a two years' residence on an uninhabited island / by Charles Medyett Goodridge ... one of the survivors. – 3rd ed., entered at Stationer's Hall. - Exeter: Printed and published by W.C. Featherstone, and sold by the author, 1839. - 4 p.L., -175,  p., 5 L. : front., pl. ; 18cm. - Natural History Museum Library ; University of Cambridge Libraries. Exeter. Featherstone, William Charleton. 1839-1842. Printer. Oliver, George. Ecclesiastical antiquities in Devon : being observations on several churches in Devonshire, with some memoranda for the history of Cornwall / by the Rev. George Oliver.-- Exeter W. C. Featherstone 1839-1842. - 3 vol,plates : ill ; 23cm. - Held by: University of Exeter Libraries ; National Trust Libraries ; University of Exeter Libraries ; University of Leicester Library (Special Collections) ; Lambeth Palace Library ; Senate House Libraries, University of London ; Society of Antiquaries of London Library ; University of Cambridge Libraries ; University of Oxford Libraries ; V&A Libraries ; Lambeth Palace Library ; Senate House Libraries, University of London ; Society of Antiquaries of London Library ; University of Cambridge Libraries ; University of Oxford Libraries ; British Library ; Devon Heritage Centre : s726.5/DEV/OLI ; ; Barnstaple: 726.5/B/OLI ; North Devon Athenaeum D726/OLI 2. - Subjects: Devon. Churches. Exeter. Featherstone, William Charleton. 1839. Lithographer. St. Eloy's Chapel, Heavitree, Exeter / W.C.Featherstone, lithographer, Exeter. - [Exeter] : [W.C.Featherstone] , . - Lithograph ; 104x174mm. - SC1143. - WSL. Exeter. Featherstone, William Charleton. 1840. Lithographer. The old Saxon Church, East Teignmouth, Devon / W.C.Featherstone lithographer, Exeter. - [Exeter] : [W.C.Featherstone] , . - Lithograph ; 103x175mm. - SC2821. - WSL. Exeter. Featherstone, William Charleton. 1840. Lithographer. View of the second land-slip at Whitlands between Lyme and Seaton on the coast of Devon, which occurred February 3 1840. - Exeter : Featherstone , 1840. - Lithograph ; 204x392mm. - SC0420A. - WSL. Exeter. Featherstone, William Charleton. 1840. Printer. | Wilcocks, James B. Emigration, its necessity and advantages.-- Exeter Printed by W.C.Featherstone 1840. - Held by: King's College London Library ; Senate House Libraries, University of London ; Worldcat. Exeter. Featherstone, William Charleton. 1840. Printer. Shortt, William Taylor Peter. 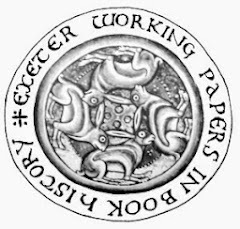 Sylva antiqua Iscana, numismatica, quinetiam figulina, or, Roman and other antiquities of Exeter : being a description and elucidation of the numerous ancient coins, Samian ware, and other relics, lately discovered in that venerable and interesting city. With plates of the most remarkable coins, and other curious antiques / By W.T.P. Shortt. - Exeter : Printed and published by W.C. Featherstone, New London Inn Square. ; London : By J.B. Nichols & Son, 25, Parliament Street., [1840?]. - xviii, , 20-145,  p., , x leaves of plates : ill. ; 24 cm. - With a list of subscribers. Davidson p.32 (Secktor Library). - Held by: Devon Heritage Centre: B/EXE/737.4/SHO Document inviting subscribers in large ephemera box: Exeter/1840 ; Barnstaple: BX:EXE/0005/SHO ; Torquay ; Bideford: Pearse Chope Collection ; National Trust Libraries ; University of Oxford Libraries ; London Library ; V&A Libraries ; British Library ; City of London, Guildhall Library ; Newcastle University Libraries ; University College London Library ; University of Cambridge Libraries ; University of Exeter Libraries ; University of Leicester Library (Special Collections) ; University of Oxford Libraries. - Subjects: Devon. Exeter. Archaeological sites. Exeter. Featherstone, William Charleton. 1841. Lithographer. Camp on Woodbury Hill / Featherstone lith. - [Exeter] : [W.C.Featherstone] , . - Map : lithograph ; 110x187mm. - From: W.T.P.Shortt, Collectanea curiosa antiqua Dunmonia, (Exeter: W.C.Featherstone, 1841). – WSL. Exeter. Featherstone, William Charleton. 1841. Printer. Goodridge, Charles Medyett. Narrative of a voyage to the South Seas, and the shipwreck of the Princess of Wales cutter, with an account of two years residence of an uninhabited island / by Charles Medyett Goodridge of Paignton, Devon, one of the survivors. - 4th edition. - Exeter : W. C. Featherstone , 1841. - 12 p. l., -170p : ill., front. (port.) ; 19 cm. - 10 leaves subscribers list inserted in some copies. Errata slip tipped in opposite p.170. - . - URL: http://books.google.com/books?vid=BL:A0017614387. -Held by: Devon Heritage Centre: s910.4/PAI/GOO ; British Library ; London Library. - Subjects: Devon. Paignton. Sailors. Goodridge, Charles Medyett. Shipwrecks. 1820-1822. Exeter. Featherstone, William Charleton. 1842. Printer. Shortt, William Taylor Peter. Collectanea curiosa antiqua dunmonia; or, An essay on some druidical remains in Devon : and also on its noble ancient camps and circumvallations, interspersed with many interesting numismatic memoranda and notices of late discoveries of Roman coins, pottery, and other remains in Exeter and Devon. A list of Exeter trading and tavern tokens, with several curious matters of modern interest, &c. / By W.T.P. Shortt, Esq. - Exeter ; London : Printed and published by W.C. Featherstone, New London Inn Square By J.B. Nichols & Son, 25, Parliament Street, . - vi, -96,  p. : VI pl. (incl. plans) ; 24 cm. - Davidson p.12 (Secktor Library, dated 1841). - Held by: University of Oxford Libraries ; University of Exeter Libraries ; National Trust Libraries ; University of Oxford Libraries ; : Senate House Libraries, University of London ; Devon Heritage Centre: DEV/0005/SHO ; Barnstaple: B/0005/SHO ; North Devon Athenaeum D571/SHO. - Subjects: Devon. Archaeological sites. Exeter. Featherstone, William Charleton. 1843. Printer. Goodridge, Charles Medyett. Narrative of a voyage to the South Seas, and the shipwreck of the Princess of Wales cutter, with an account of two years residence on an uninhabited island / by Charles Medyett Goodridge - 5th edition. - Exeter : W.C.Featherstone , 1843. - ,12-172p,plates : ill, port ; 19cm. - Describes a shipwrecked party on the Crozet Islands, in the sub-Antarctic Indian Ocean, who were subsequently transported to St. Paul Island and onward to Tasmania.. - Held by: Devon Heritage Centre : s910.4/PAI/GOO ; Barnstaple: 910.4/PAI/GOO ; British Library ; National Library of Wales ; Natural History Museum Library. - Subjects: Devon. Paignton. Sailors. Goodridge, Charles Medyett. Shipwrecks. 1820-1822. Exeter. Featherstone, William Charleton. 1847. Printer. Goodridge, Charles Medyett. Narrative of a voyage to the South Seas, and the shipwreck of the Princess of Wales cutter, with an account of two years' residence on an uninhabited island / by Charles Medyett Goodridge - 6th edition. - Exeter : W. C. Featherstone , 1847. - ,172,plates : ill ; 19cm. - Held by: Devon Heritage Centre: s910.4/PAI/GOO ; Zoological Society of London ; National Library of Scotland ; National Maritime Museum Library ; University of Oxford Libraries. - Subjects: Devon. Paignton. Sailors. Goodridge, Charles Medyett. Shipwrecks. 1820-1822. Exeter. Featherstone, William Charleton. 1847. Printer. A letter, &c. - Exeter Featherstone printer 1847. - 26p. - Begins: My fellow citizens, What an instructive and sublimely splendid example .... - Held by: University of Exeter Libraries. Exeter. Featherstone, William Charleton. 1850. Printer. Shortt, W. T. P. (William Taylor Peter), fl. 1850. Ta aethla agglamerikana ara de¯ progymnasmata te¯s phragkie¯s nee¯s pelacgike¯s. Monobiblos = Gesta Anglo-Americana scilicet et progrymnasmata novae franciae pelasgicae. Liber singularis / Metegraphen ek peryame¯no¯n Hilermos P. ho Brachys [i.e. W.T.P. Shortt]Te¯ Exonie¯ polei [i.e. Exeter] : Phetherstonios [i.e. William Charleton Featherstone], . - [12, cxiv] p. ; 23 cm. (8vo). - A history of North America in Greek with notes in English and dedication in Latin. The Greek text and Latin dedication are lithographed. - COPAC. Exeter. Featherstone, William Charleton. 1852. Lithograph er and printer. Map of the city of Exeter, embracing all the alterations and improvements to the present period. – Scale bar: 22 chains : 73mm. Exeter : Drawn, printed and published by Featherstone & Co., lithogrphers and printers, 246, High Streety , [1852?]. - Map ; 445x590mm. - Bennet & Batten (2011), 37. - WSL. Exeter. Featherstone, William Charleton. 1853. Printer. Lympstone Provident Society. Rules of the Lympstone Provident Society, established at Lympstone, January 13th, 1852, and registered in accordance with the Act of Parliament, 13th and 14th Victoria, Chap. 115, March 11th, 1853. - Exeter : Printed by W.C. Featherstone, 1853. - 15 p. - COPAC. Exeter. Featherstone, William Charleton. 1858. Lithographer. Map of Exeter. Scale bar: 1000 feet=40mm. - Exeter : Featherstone, lithographer, 246 High Street , [1858?]. - Map ; 185x233mm. - Shows line of intended Exeter and Yeovil Railway. Inset plan of circulating library, Bedford Street. - Bennet & Batten (2011), 40. – WSL.